A new leak suggests that the iPhone 6 will not support the latest LTE modem from Qualcomm. 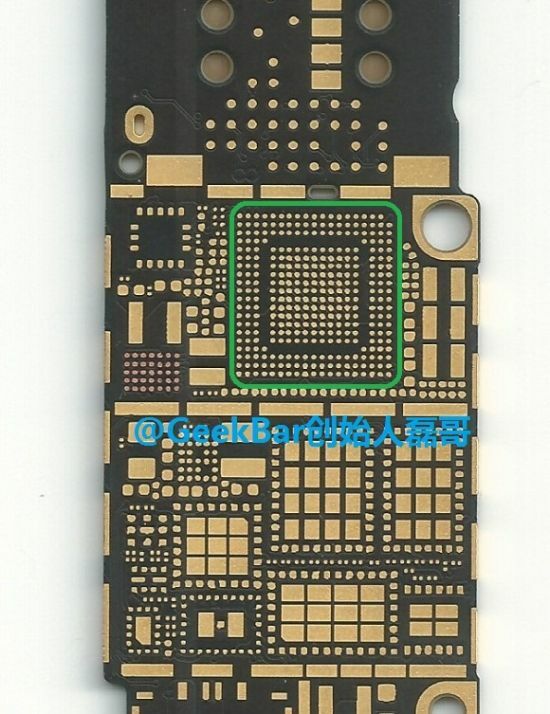 The leak comes from Chinese repair firm Geekbar (via GforGames) who posted a picture of the iPhone 6 LTE modem. According the repair firm, the iPhone 6 will use Qualcomm’s Category 4 LTE MDM9625 modem, an LTE chip released back in 2012. Although no carrier has deployed LTE-Advanced in the states, the MDM9625 chip supports it with a data transfer speed of up to 150 Mbps. Although it’s not the latest chip, it has many improvements over the LTE modem found in the iPhone 5s. This Category 4 chip is faster and more durable when heavily being used. Many Android phones such as the Samsung Galaxy S5 LTE-A, LG G3 currently support a Category 6 LTE modem which is capable of delivering up to 300 Mbps. Unlike most Android manufacturers, it appears that Apple will not jump on the bandwagon of launching their devices with not-so-well established technologies just to please the “it has better specs so it’s better” fans.